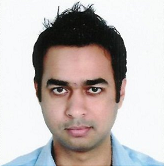 IT Professional with over 11 years of experience in Software Development and Software Management. Responsible for complete Solution Development starting from Customer Requirements to Delivery and Commissioning of Project. Platform selection and configuration of Windows Failover Clustering, Virtualization and Database Clustering. Leading Software Development and Quality Assurance team. Responsible for managing complete Software Development Life Cycle. PocketStocks - Stock Info on the GO!